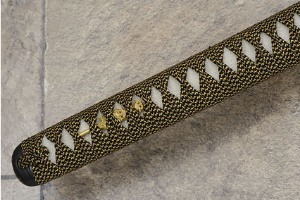 Blade: Hand forged showa-to style blade with maru-gitae construction, with tori-zori profile, hira-niku-sukunai cross section and chu kissaki. The spine is finished in iori-mune style. The hada is pronounced and easily viewed. 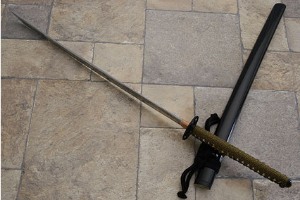 Bolster: Cold forged, oxygen free copper habaki (blade guard). Sheath: Matching alder wood saya with black lacquer and clear coat. 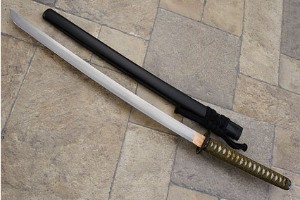 Description: This dramatic katana won Best Sword at the 2009 Blade West Show. In 2006, Mastersmith Bill Burke went to Japan for three weeks. During this visit, Bill’s long-time fascination and understanding of Japanese swords and Japanese forging techniques was greatly enhanced. During the trip, Bill visited many sword shops (Nihonto) and knife shops (hocho), as well as visiting with several sword smiths and blade smiths. 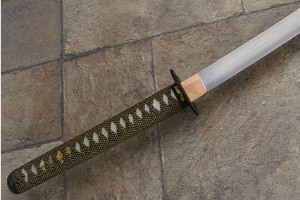 Bill has since made several styles of Japanese hocho knives (kitchen knives) along with tantos, wakizashi, and katana. 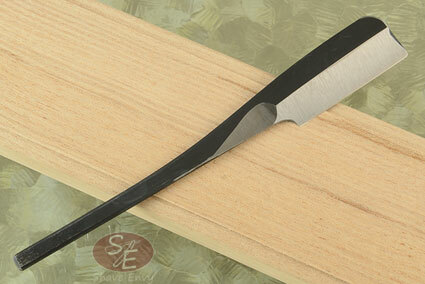 The blade was forged in the Mino tradition from high carbon railroad track steel in a style called showa-to. 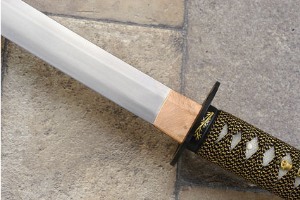 Showa-to blades were generally forged between WWI and WWII from modern steels, rather than tamahagane. Of the 18,000 swords that were made per month during this era in Seki, approximately 17,000 of these were Showa-to. 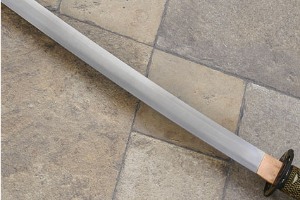 The blade was forged with maru-gitae construction using a mono-steel. 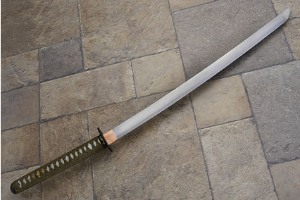 The blade is tori-sori style (having an even curve throughout the length) and has a high shinogi line (ridge line). The convex sides are hiraniku, literally meaning "edge or surface meat". 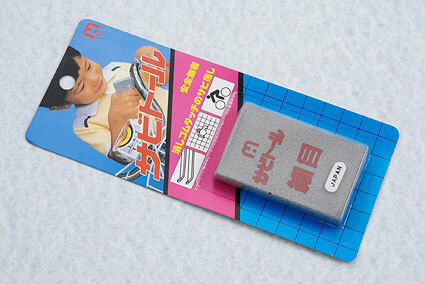 The degree of Hiraniku largely dictates the blades cutting power. 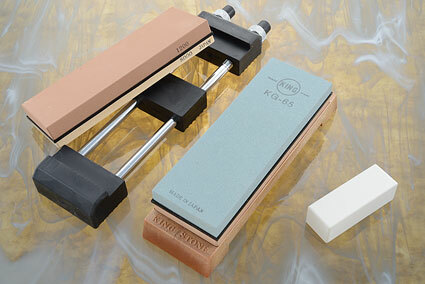 Bill's masterpiece has good hirahiku (hira-niku-sukunai) for a robust and strong edge. 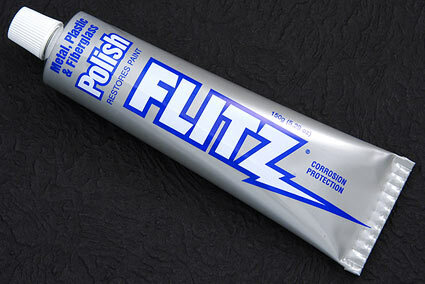 The tip is chu-kissaki. This tip style is defined by a width and length of the tip being in good proportion (the length is a little bigger than the width). 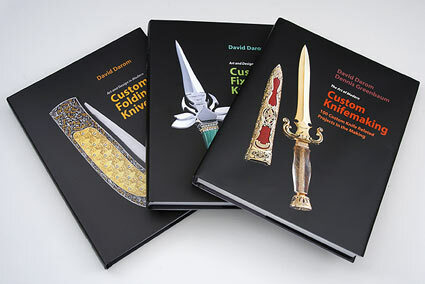 Most blades forged after the 15th century use this style. The spine is finished in iori-mune style, having a peaked dorsal spine. The blade was heat treated using traditional Japanese techniques -- by water quenching with clay covering the sides. This style of heat treatment not only creates the elegant hamon (heat treatment line characteristic of Japanese swords), but produces a soft, supportive spine, with a keen, long lasting edge. 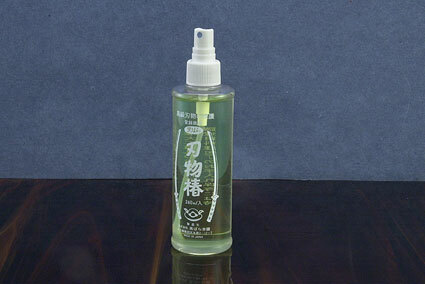 The hamon line is chu-suguha, meaning that it is of medium height and is straight, rather than gently undulating. 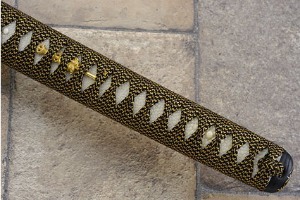 Suguha is one of the oldest patterns of hamon. As is traditional with Japanese swords, after the blade was polished using waterstones, the hamon was polished with Japanese finger stones. The hada (grain pattern) is clearly visible and pronounced. The habaki (blade collar) was forged from copper. 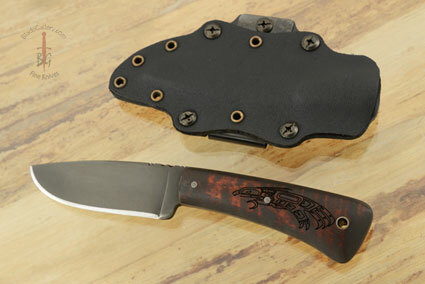 The sheath and handle were formed from alder wood and have been black lacquered. 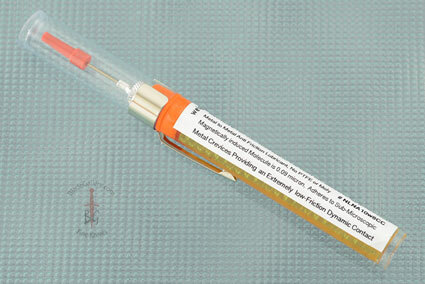 The central handle pin is formed from 20,000 - 30,000 year old mammoth ivory. 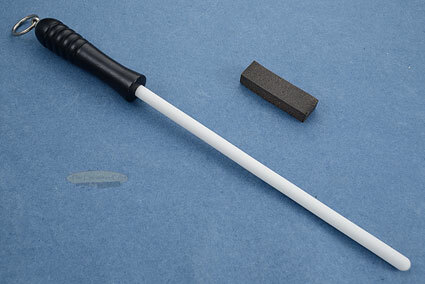 The handle is full same gawa wrap (sting ray), adding strength to the handle construction. 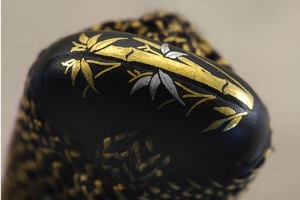 The handle was then wrapped in black and gold silk in a traditional battle style wrap over gold-plated silver menuki. 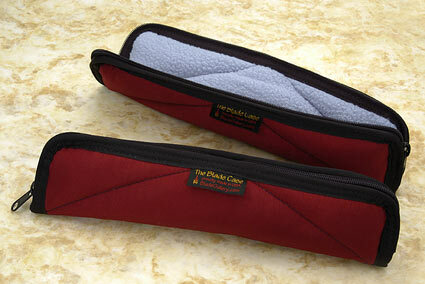 Fuchi and kishara are iron with silver and gold bamboo pattern overlay. 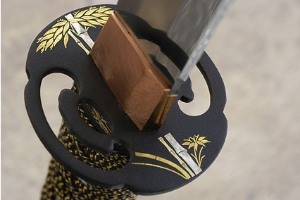 The tsuba (guard) is in matching style. As is traditional, Bill has marked the knife on the tang of the blade. It has his BTB mark as well as a Willow Leaf. All of Bill's Japanese influenced knives are marked with this combination to honor Ed Fowler, Bill's mentor. 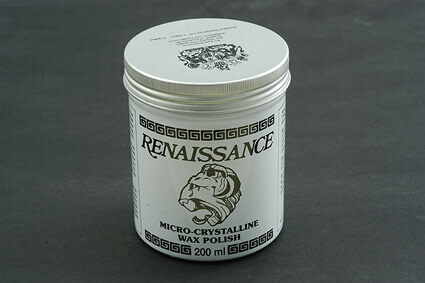 Exceptional fit and finish throughout!